Green Eye – the next book in the trilogy. London-based derivatives trader, Scott Carty, doesn’t give any weight to the inexplicable dreams he’s been having. That is, until, his mercurial boss, Arthur D’albo, summarily dispatches him to an energy conference in Kazakhstan along with a curious instruction to deliver a locked briefcase. Soon enough, the dreams’ premonitions begin to resonate with an alarming clarity as he becomes entangled with the beautiful Lena Isotova and uncovers D’albo’s sinister business, lubricating the wheels of a covert, Cold War energy technology. It’s a secret, though, that carries a deadly price and targeted by ruthless killers, he’s forced to flee with Lena’s mysterious friends into the Siberian forest, around the shores of Lake Baikal. There, he is awakened to the mystical nature of reality and the staggering truth about the technology’s potential threat to the global economic order. Meanwhile, back in London, Carty is a wanted man but everyone believes he’s been killed in Russia; everyone but the intelligence agencies. What do they really know about this enigma and why is Carty’s survival so important to them? 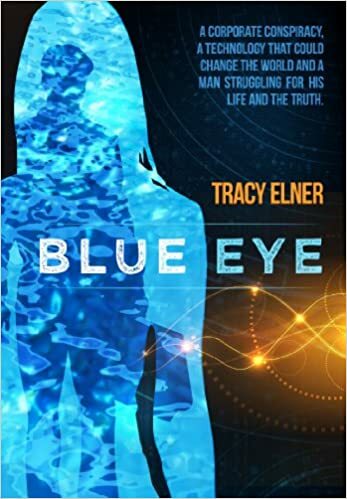 Set against the backdrop of the world’s oldest lake, Blue Eye is a fast moving conspiracy thriller addressing some of the burning issues of our time and is a gripping journey of transformation for its hero, Scott Carty a reluctant eco-Bond. Echoing the styles of Michael Crichton, Dan Brown, Clive Cussler, Lyndsay Clarke and Carlos Castaneda, it’s the first in a trilogy from a new author which carves a new(ish) genre, World Shift. Joint winner of the OBBL Awards 2014. By Amazon Customer on 6 July 2014http://www.amazon.com/gp/product/B00H3LBIVY/ref=as_li_tl?ie=UTF8&camp=1789&creative=9325&creativeASIN=B00H3LBIVY&linkCode=as2&tag=taichimaste03-20&linkId=OD3IBAOKFMFYZMA2 – Click Here to see Full Review on Amazon!